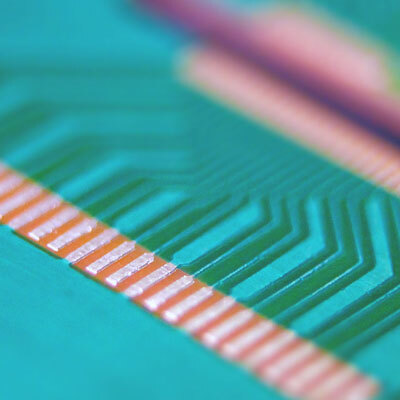 With quantum chipsets that operate in a cryogenic environment, they needed something more than an "off-the-shelf" PCB that could stand up to the job. The resulting product, developed through many months of collaborative research, design, and testing, was an Aluminum-Trace PCB constituted by aluminum-on-aluminum wirebond pads and solder-on-aluminum joints. The entire electrical path is superconducting below 500 milliKelvin temperature, and tolerates repeated cryogenic temperature cycling without breaking wirebonds. The superconductive aluminum PCB itself represents a true breakthrough for advanced computing platforms. 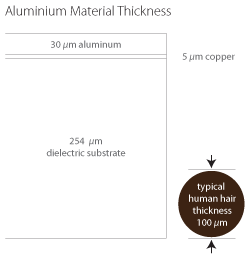 Although aluminum had been used in PCB production in the past, ours is the first known example of a true aluminum mono-metal wirebond connection model, rather than one that uses simply uses aluminum to diffuse heat from copper within printed boards. It's a product and solution that didn't and couldn't exist just a few years ago, and we are proud to have been on the leading edge and to have met the rigorous needs of a client that's using advanced technology to change the processing world. The strength of our products and technical capabilities. The fact aluminum trace PCBs had been unsuccessfully attempted in the past, speaks volumes about our technical capabilities. Regardless of the specific product needs and tolerances, we feel confident in our ability to deliver the right solution, for example, despite the initially untested nature of the aluminum-on-aluminum board, current breakage rates are less than 0.1%. The determination and creativity of the Omni research staff. During their initial search for a versatile PCB solution, the team at D-Wave Systems wasn’t just unable to find the printed circuit board they needed, but also, another firm that was willing to take on the challenge, since the standard approach from most PCB designers and manufacturers has been to produce "stock" PCB boards at low margins, rather than attempting to break new ground in the industry. Our commitment to custom, individualized PCB solutions. Researchers and engineers turn to us because they want the best in PCB design and prototyping, along with quick and efficient service, not because they're looking for the same kinds of boards they can get anywhere else. As proud as we are of this achievement, and all it means for our team and company, we look forward to working with new products to further test the possibilities of printed circuit board technology. Contact Omni today to see why technology leaders turn to us for answers and learn exactly what we can do for you. To learn more about our aluminum trace PCB, and possible applications for the technology, take a moment to download our design and development case study. Or our Aluminum-Trace designers Toolkit.